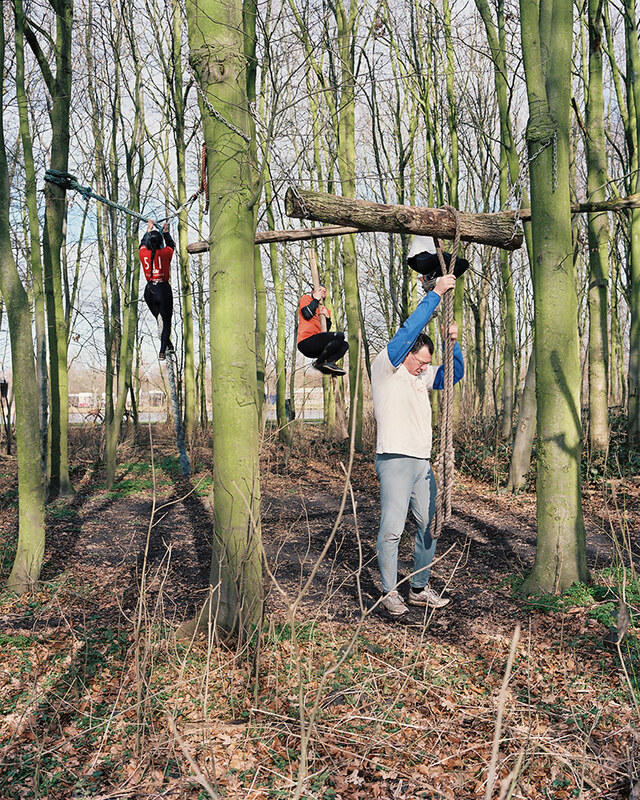 I was told about this extreme sport by a friend who is a member of a group of fanatical survival runners. 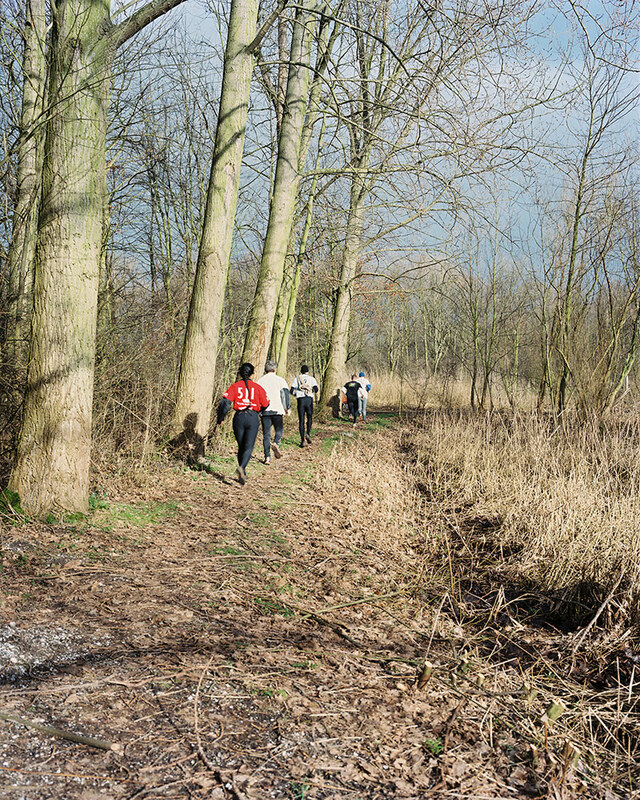 What is survival running? It’s hard work! About thirty obstacles must be championed before the trail ends with a nice dip in really cold water! 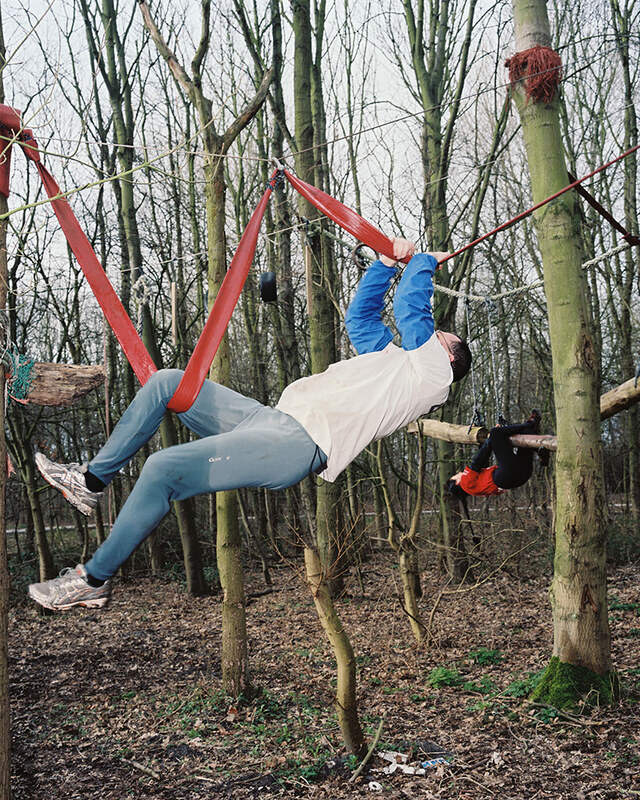 What goes on in between is also challenging: climbing trees, a rope ladder above shallow water, climbing and swinging ropes, leg clamps, arm clamps and whatnot. I was fascinated to hear this: I wanted to come with them! It was 9 o’clock in the morning, temperature 6-8 degrees with a lovely sunshine. The night before it was still freezing cold, some 3-4 degrees below zero(! ), but in this pleasant weather they love to run. I talked with Donovan (53), in daily life a supervisor in a social workshop. Donovan has been doing this for 8 years. Together with about eight people he runs, rain or shine, every Sunday 12 to 13 kms. 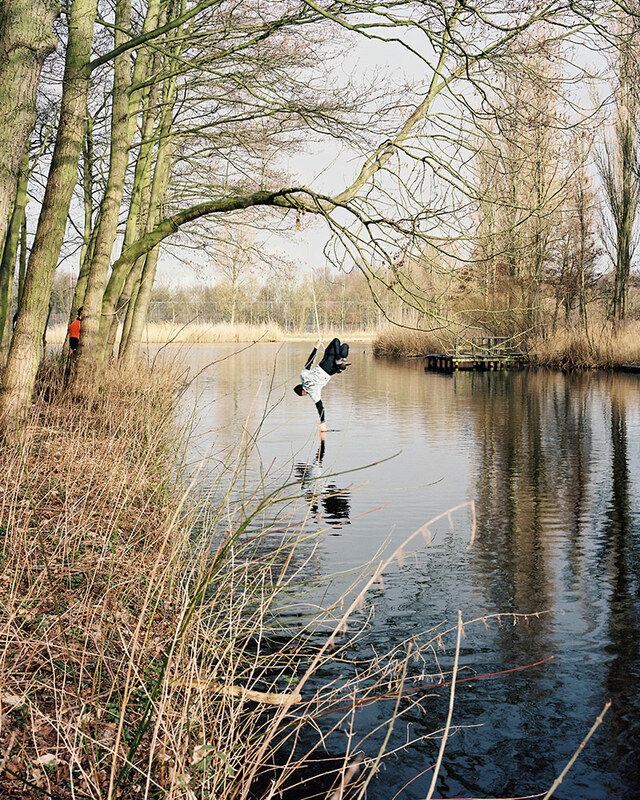 In the pictures are also Kees, Peter, Jia-Lian, Henk and Rik, who do this almost every week. 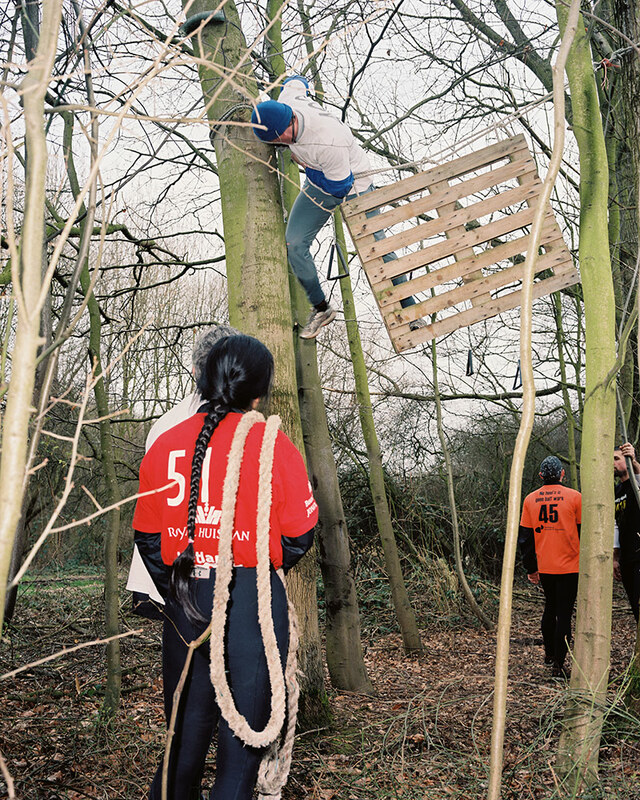 Kees, Rik and Jia-Lian are also doing very well in survival run competitions. 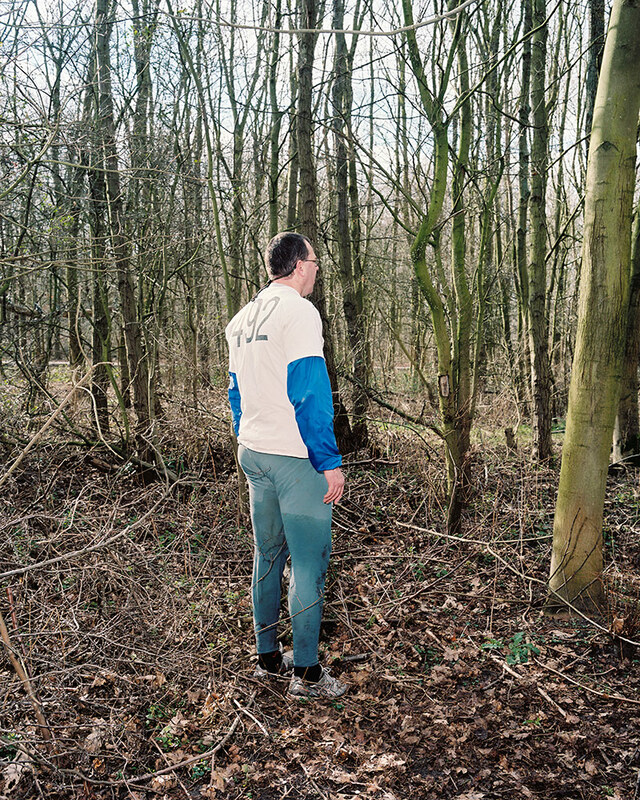 On March 14 at the Kootstertille run, (70 hurdles, in the east of Friesland, a northern province in the Netherlands), Kees finished in 2:59:28, very fast! In her catergory Jia-Lian ran for the Dutch Championship and finished third in 1:58:19. The group call themselves ‘Westland Survival’. They start their training-run from a sport centre in Monster, a nearby area, where they can use the showers and dressing rooms. One of them has already installed all the obstacles and challenges along the way. Afterwards they take these down again, to prevent sabotage and accidents. 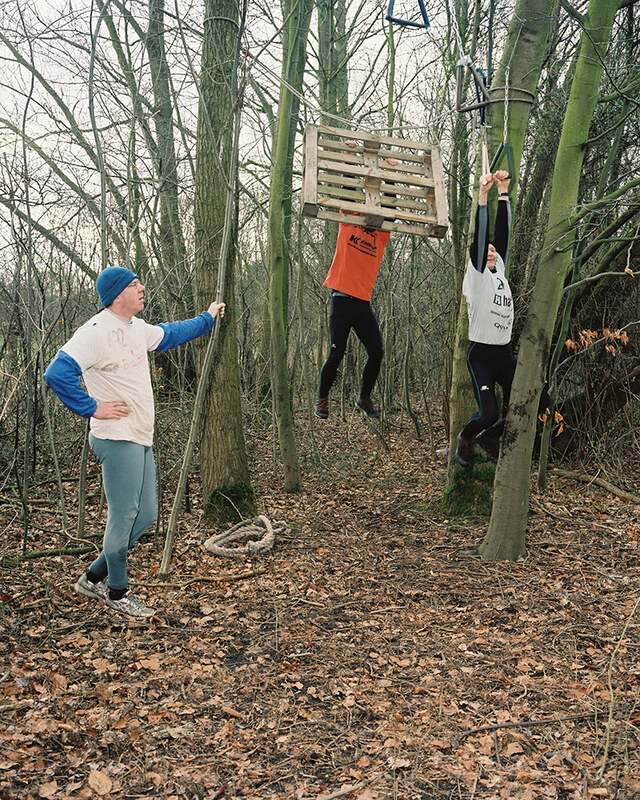 In The Hague there’s a relatively small group of people practicing this sport, which can be best described as a crossover between military training and ‘parcours’ in the suburban greens. In the east of the country it’s already more popular. SBN is an organisation who informs people about survival running, and coordinates the upcoming adventure races nationwide.